Save the date! Sephora's Semi-Annual Sale is back! 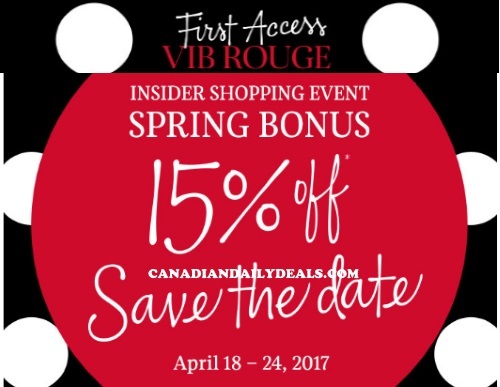 VIB Rouge members get first access to save 15% off their entire order! If you're a VIB Rouge status at Sephora you can shop in-store and online with the promo code ROUGESPRING, present email or mailed invitation in-store from April 18-24! Also on the first day of the sale, April 18, VIB Rouge members can bring a friend to shop in-store with them and you can both enjoy 15% off and take home an exclusive tote with purchase.